Here’s what you should know about the most comprehensive childhood cancer bill to ever hit Congress, and how you can help create change for kids with cancer. In June, over 300 childhood cancer advocates hit Capitol Hill for Childhood Cancer Action Days. They asked our legislators to make childhood cancer a national priority and to support the Childhood Cancer Survivorship Treatment Access and Research (STAR) Act, a bill that addresses some of the major issues facing the childhood cancer community. 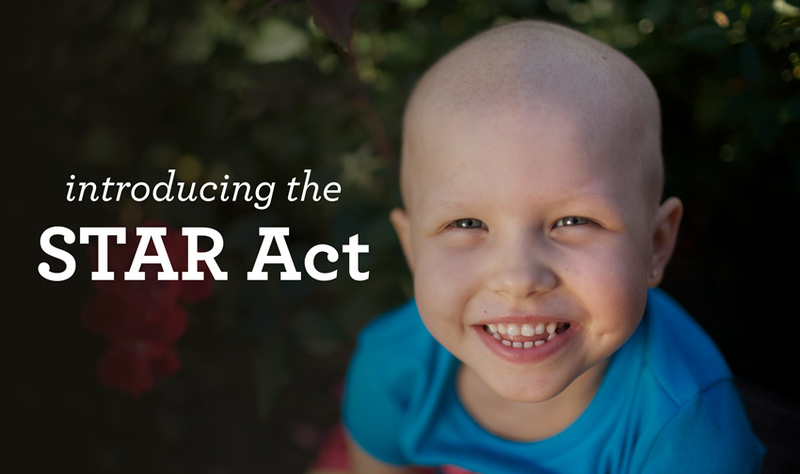 “The STAR Act captures what’s import to me as the mother of a childhood cancer survivor. I desperately want researchers to have access to critical funding so they can find cures and work toward less toxic treatments. But the issues facing the childhood cancer community are bigger than research alone. “Children battling cancer need to have access to potentially life-saving drugs coming down through pipeline. The growing number of survivors represent a unique group that will continue to grow as we get better at effectively treating cancer. Many survivors will have special health needs that need to be understood and addressed. Congress already heard from Kelly and the rest of our advocates on the Hill. Now it’s time for them to hear from the ones at home. The bill already has strong support from both Republicans and Democrats in the House and Senate. But for any bill to be approved, we need to gather the support of the many, many more Members of Congress from both sides of the aisle. We need YOU to write your members of Congress and urge them to cosponsor the STAR Act. While much has been accomplished, our work is not done. Join the St. Baldrick’s advocacy action network, Speak Up for Kids’ Cancer, to stay informed about the STAR Act and get alerts when your help is needed the most.